If you’re looking to start a career in Optometry, you should know by now that you’ll need to take the OAT or the Optometry Admission Test before applying to any optometry school or college. For those of you who are just starting to look for information, the OAT is a standardized examination where you’ll have to prove your ability of understanding and interpreting scientific information. The OAT is required by all schools and colleges in the United States and by the University of Waterloo in Canada. Even more, while each school is free to choose the rank of importance of your OAT final score, a poor score won’t do you any good. So, if you want to be admitted in the Doctor of Optometry program in any school, you must crush your test from the first try. It’s true, the high stakes make the OAT a bit more stressful than it should be, but if you are well-prepared, you shouldn’t have any problems in acing the test. However, it is a pretty extensive test as you’ll have to prepare for four sub-tests covering the following topics: Natural Sciences (Biology, Organic Chemistry and General Chemistry), Academic reading comprehension, Physics, and Quantitative Reasoning. So where to start? Most students tend to hoard all the books and materials they can get their hands on, but this also means a major investment. Since we’re not all royalty, what’s the best way to prepare for OAT without breaking the bank? The answer is quite simple: find the best resources and stick with them! We browsed the market, talked with experts and students, and managed to find the best five books and resources that will help with OAT preparation. The resources mentioned below are everything you need to put you on the admission list of some of the best Optometry schools and colleges. This is the ultimate package for your OAT! With over 65 hours of full-detailed explanations and an actual simulation of the computer test, you have everything you’ll ever need to score high. 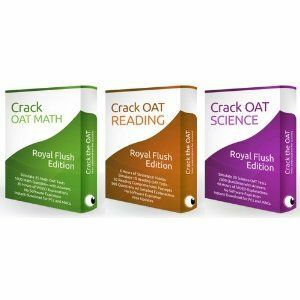 The Crack the OAT package contains information for three general topics: Math, Reading and Science. The great part is that everything is in electronic format and you don’t have to browse through bushy books to find punctual information. The even better news, the information is in video format so it’s a lot easier to assimilate. As a total, there are over 50 simulated section tests, 65+ hours of video explanations, and over 3000 questions with detailed answers. 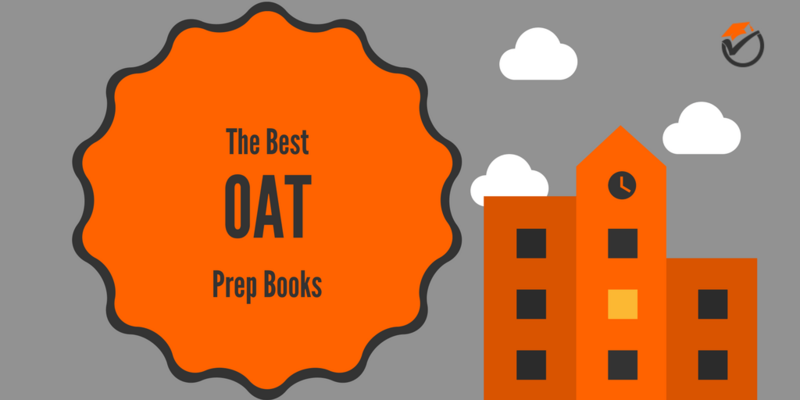 All these will help you prepare for the tests and will help you get more familiar with the actual OAT experience. The Crack the OAT software is specially designed to help you assess your testing performance, understand your weaknesses, and overall, get better. The cool part is that you can actually compare your scores to other people. This can also be a boost of confidence as you get better and better at taking the OAT exams. The software is compatible with PC and MAC and there is no expiration date. It is however limited to just one computer, where you’ll introduce your activation key. This can be considered a downside given the fact that we live in an era where information in the Cloud is easily accessible from everywhere. 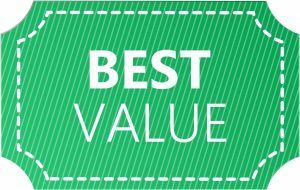 If you’re looking for the one resource that has everything and anything on OAT examination, the Kaplan OAT 2017-2018 Strategies is your best choice. In 1056 pages, this guide contains in-depth concept reviews, straight to the point explanations (no fluff), and practice exams that are similar to the actual OAT. 1) A complete review of all the topics covered during OAT (General and Organic Chemistry, Biology, Physics, Reading Comprehension, and Quantitative Reasoning). 2) More than 600 practice questions covering each subject. Of course, questions also have detailed answers and explanations. The Kaplan OAT 2017-2018 Strategies is updated to the latest requirements so you don’t have to worry that you’ll miss anything. Even more, Kaplan Test Prep helped lots of students over the years and they have the necessary specialists and experience to create the perfect resource for OAT examination. Keep in mind that it’s not just a book with concepts and explanations. It’s also a guide that will teach you how to learn and how to prepare for the actual test. The practice exams are specially designed to fit the real test. Thus, you’ll be introduced to the same format used during the test, down to the colors and position of the controls. While lots of students improved their score by studying the Kaplan OAT 2017-2018 Strategies guide, you should also know that the online resources are a bit lacking. They are good, but they could be better.With 324 pages and its practical approach, it contains all the things that are necessary for you to stay stress-free and inspired while studying for your USMLE Step 2 CS exam. The OAT Secrets Study Guide is put together by experts and highlights the specific areas of content you need to focus on and the skills that are essential to master in order to ace your OAT. It is a 420 pages guide that you should use as help during study. The techniques described in this guide are based on years of experience in taking the OAT examination. The information is up to date and you’ll have the chance to discover a unique approach to this test. But first, the guide is designed to teach you how to apply the knowledge you already have on different sections of the test. The approach is different than what you know from classic prep guides that focus on teaching you the material. 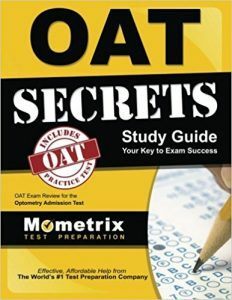 With the OAT Secrets Study Guide you’ll learn how to apply what you’ve learned to the test in order to get the best results. There are also several so-called time traps built into the simulations. These will teach you to appreciate the time spent on every question correctly and will help you apply the best technique in order to maximize your results in the given time frame. And finally, there are five secret keys that will help you ace the test event when you’re anxiety levels are through the roof. According to academic studies, the traditional test preparation is not always the right approach so these keys will help you change your point of view and overcome your fears and weaknesses. To summarize, the guide contains 20 original tips on how to take the test, 5 secret keys that will completely unlock the test for anyone, and 1 full-length simulation. On the downside, the information is not structured too well so you may get lost at some point. Still, if you think you’re ready for the test, this guide is perfect in testing your performance. 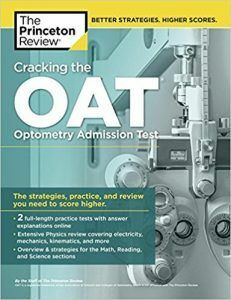 Cracking the OAT is a guide put together by The Princeton Review, an institution that’s been helping students in all domains since 1981. Their main purpose is to find and develop tools and strategies that will help students tackle today’s academic challenges. 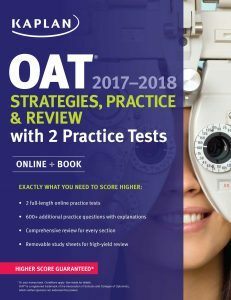 But, back to the OAT guide we’re currently discussing, the book is equipped with lots of information on what you need to know on all the main topics of the examination and several strategies on how to ace the test. 1) An extensive review of various Physics concepts such as mechanics, electricity, kinematics, and so on. 5) Access to two practice tests in full length. You should also know that most students found this guide extremely useful in preparing for the Physics section. Students learn the type of equations they need to know and how principles are applied. Also, the explanations are clear and the practice problems are relevant to the test helping you understand and retain the information easier. Sadly, it’s not just as in-depth with the rest of the topics which is why it is recommended to use it as a supplement. This is the guide you need when you want to review your knowledge. Packed with useful questions and detailed answers, this 144-pages book should be the very last resource to use before the day of the exam. Questions are easy to find, based on topic and category and authors list both the right and the wrong answer so students have a better idea on which answer is correct and why. The OAT Practice Questions guide is the perfect resource to prepare you for how questions will be during the exam. 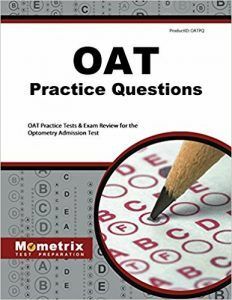 This is helpful if this is your first time, but people who already took the OAT once could also use this book to keep the format and questions fresh in their mind. Finally, by taking the tests available in this guide you have an extra chance to assess your performance and discover weak spots in your preparation. This way you’ll have the possibility to improve yourself before the actual OAT. The resources we recommended here are everything you’ll need for your OAT exam. Of course, not all of them are mandatory. 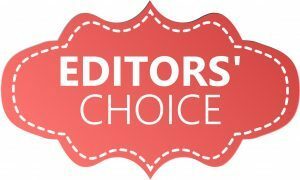 For instance, the Kaplan OAT 2017-2018 Strategies is the most complete of the guides and books we recommended here and you’ll do just fine with buying just that. 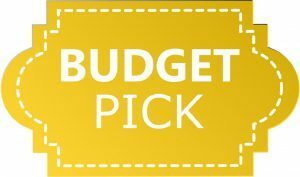 On the other side, if you’re looking for a budget option, we recommend the Cracking the OAT guide. It is not as comprehensive as the Kaplan guide but it is of great help.